tell us your story using our online contact form. Senator Ed Markey of Massachusetts released a report sharply critical of schools across the country – including schools right here in Massachusetts – for failing to comply with federal laws meant to safeguard against the hazards presented by airborne asbestos in schools. 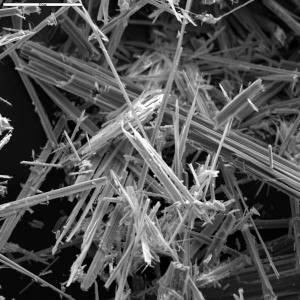 The report, ‘Failing the Grade: Asbestos in America’s Schools‘, reveals that most schools are not aware of all the asbestos in place in their buildings. As a result, renovations and repairs are conducted without the important safety measures meant to prevent the spread and release of breathable asbestos fibers. In March Senator Markey and Senator Boxer from California asked states whether they were in compliance with the 30 year old federal law governing asbestos in schools, the Asbestos Hazard Emergency Response Act (known as AHERA). Almost half of U.S. schools were built between 1950 and 1969, when asbestos was routinely used as a building material. Where Can Asbestos Be Found in a School? Asbestos in schools may be found in the insulation of heating, ventilation and air conditioning systems; as fireproofing on the structure; as ceiling material, either sprayed or tiles; in roofing and floor tiles; in wallboard or plaster walls or ceilings; in soundproofing material; even in chipped paint. As long as the asbestos materials are undisturbed and in good condition, the EPA maintains the risk is minimal and recommends they be left in place. But as older schools require constant maintenance, and often require repairs or updating, work done poorly or by workers unaware that asbestos is present can cause serious exposures. What Does Federal Law Require of Schools? Parents, teachers or employees should ask for an annual asbestos statement if you are not receiving one. Ask to see the school’s asbestos management plan. Ask if your child’s school is periodically inspected for asbestos. If you see deteriorating materials in your school, report it to the designated asbestos coordinator. States are required to keep your children safe, but the Markey report shows that states are failing to do so. Thornton Law Firm is Massachusetts’ first, most successful, and most respected team of mesothelioma lawyers. We have had the great privilege of representing injured asbestos victims in mesothelioma and asbestos cases since 1978. If you or a loved one has been diagnosed with mesothelioma or another asbestos-related disease, call on our experienced, compassionate mesothelioma lawyers for a free, no obligation consultation by calling 1-888-632-0108 or by telling us your story online. Like all legal claims, asbestos claims have short time limits. Do not delay seeking advice.